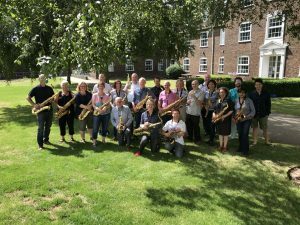 Two day jazz improvisation workshop – 14th / 15th July 2018. In partnership with the University of Chichester, Mike’s second JazzSmart workshop for 2018 will be at the University of Chichester in West Sussex. Fantastic facilities in the recently renovated music block, this workshop is for you if you want to improve your jazz playing regardless of level! Price: £120 for two days. This course is open to beginner, intermediate and advanced improvisers. No matter your current level we here at JazzSmart are convinced that Mike’s structured and well thought out approach to improvising will allow you to break free from your constraints to improvise more freely than before. Perfect for people who would like to improvise but haven’t had the courage before to do so. Mike will have you on the road to improvising and enjoying jazz as a participant rather than a spectator. 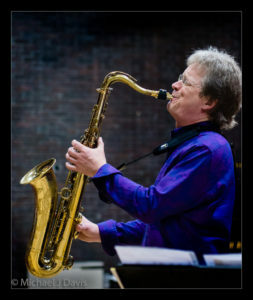 A note from Nick Reynolds, M.Phil, SFHEA, Head of Jazz at the University of Chichester; “We are very pleased to welcome Mike Hall (head of Jazz Studies at the RNCM in Manchester) to the University of Chichester music department who will be conducting an exciting and stimulating workshop for jazz musicians of all levels. This will also be a fantastic opportunity for some of our jazz BMus students at the University of Chichester who will be helping as part of the rhythm section.“. For our Chichester workshop, we can offer single bed accommodation with en-suite bathroom at an additional cost. The University have accommodation available for £100 for two nights including breakfast (Friday and Saturday night). It will either be on the main campus or within the town centre itself at their Stockbridge Halls. Please contact us if you have further questions about this, and it can be booked via ticketsource. As an approximate guideline; be able to play around Grade 3 standard. Please note, this does not mean you need Grade 3 qualification, it means your current playing level should be of this standard or better. Mike also has an alternative guideline of being able to play your major scales up to 4 sharps and flats. Participants of 16 and over are welcome. Please note: Participants under 18 will need to provide parent/ guardian contact details.